WEDNESDAY, March 22, 2017 (HealthDay News) -- A concussion prevention program that teaches young football players safer ways to block and tackle was tied to about a one-third lower risk of head injury, according to a new study. And, in those players who did sustain a concussion, recovery was 27 percent faster for those involved in the program, the researchers found. "It is difficult to say which aspect of the program did this," said one of the study's authors, Dr. John Tokish. He's a professor of orthopaedics at the University of South Carolina School of Medicine in Greenville. Tokish, a former football player and youth coach who's also the father of two football players himself, said the findings are encouraging. "I think the results are promising," he said. "However, they spur more questions that we are anxious to go after. It is certainly possible that further research would demonstrate different results. But hopefully all of it will serve to improve the program and ultimately result in lower concussions in our young athletes." Dubbed the "Heads Up" program, players are taught to lead with their shoulders when tackling an opponent rather than hitting the ball carrier head first. In addition, the program teaches concussion awareness and proper fit for a helmet. The program began with three pilot programs in 2012. Heads Up is now used by more than 7,000 youth and high school football programs across the United States, according to USA Football. The current study looked at more than 2,500 high school football players from 24 schools in the Greenville, S.C. area over the course of the 2015 season. At least one coach from 14 of the schools had previously taken the Heads Up training program while 10 of the high schools utilized what the researchers called "standard training." The researchers randomly monitored the football teams three times during the season to ensure coaches were teaching tackling correctly. Athletic trainers at each of the 24 schools monitored and recorded injury information for all practices and games. To ensure uniformity of care, each school used the same health care provider network to treat players who suffered a concussion. Over the course of the season, there were 117 concussions among the players. Players on the teams using the Heads Up program sustained about one-third fewer concussions, the study found. Players in the Heads Up group were able to return to play in 11 days while those in the non-Heads Up group were out of action for 15 days, the findings showed. A doctor who was familiar with research but wasn't involved with the study said he wasn't sure that the new program is the panacea some are suggesting it is. Dr. Wellington Hsu, a professor of orthopaedic surgery at Northwestern University, said, "Unless we can see better numbers and more data, this is not really that significant." Plus, football players aren't the only ones suffering from concussions. 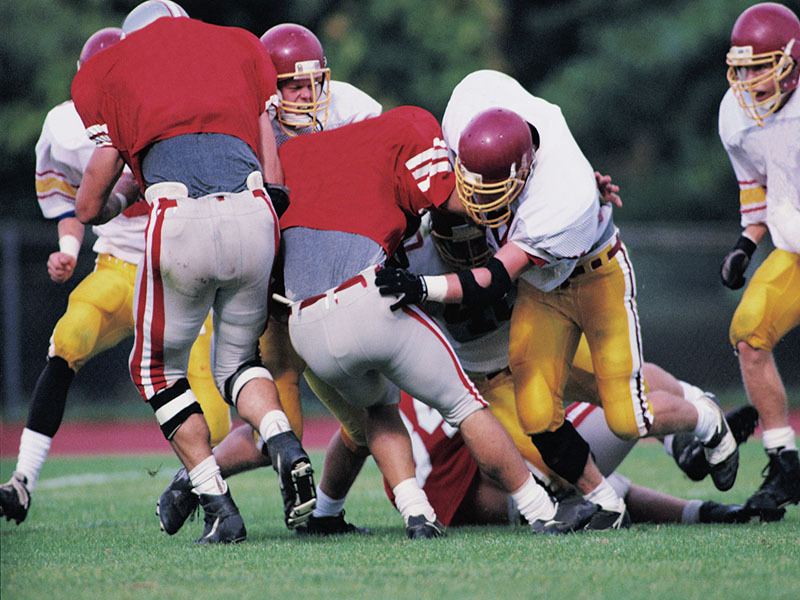 Hsu recently looked at concussion data for high school athletes over the past decade. He found that girls who played soccer were most susceptible to these brain traumas. "Concussions are becoming a very big problem in younger athletes and they may be having a more significant effect on these athletes' brains," he said. "All of these studies are good at raising awareness." The study was presented at the American Orthopaedic Society for Sports Medicine in San Diego. Findings presented at meetings should be viewed as preliminary until they've been published in a peer-reviewed journal.